I’m back from my holiday! It was my first time to the USA and while it’s nice to visit cities like Seattle, San Francisco, Los Angeles and Las Vegas, the national parks were the ones which left the deepest impressions. Will try my best to finish up my Eastern Europe trip (oops) so I can start on the USA ones! 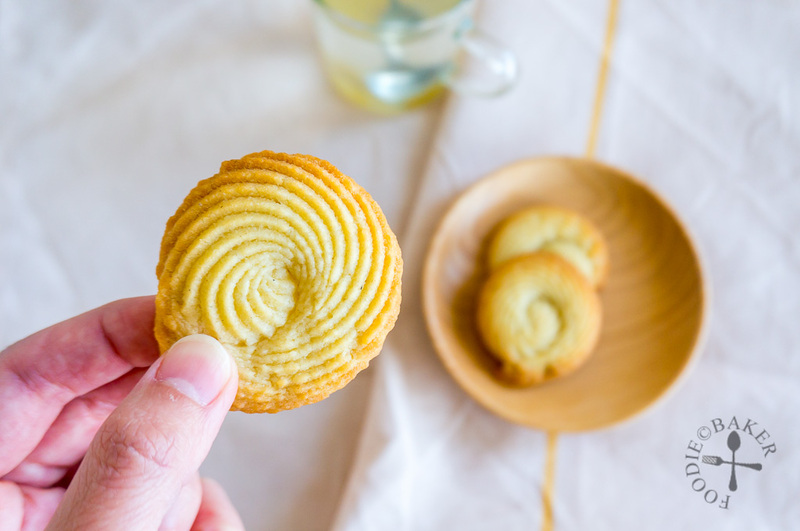 After such a long baking break, my fingers were seriously itching to whip up something – cakes, cookies, brownies… but then I had to watch my weight too (ate a tad too much during the trip haha), so I decided on Sablés Viennois so I can snack on just one if I got the craving. I can’t stop eating these cookies! 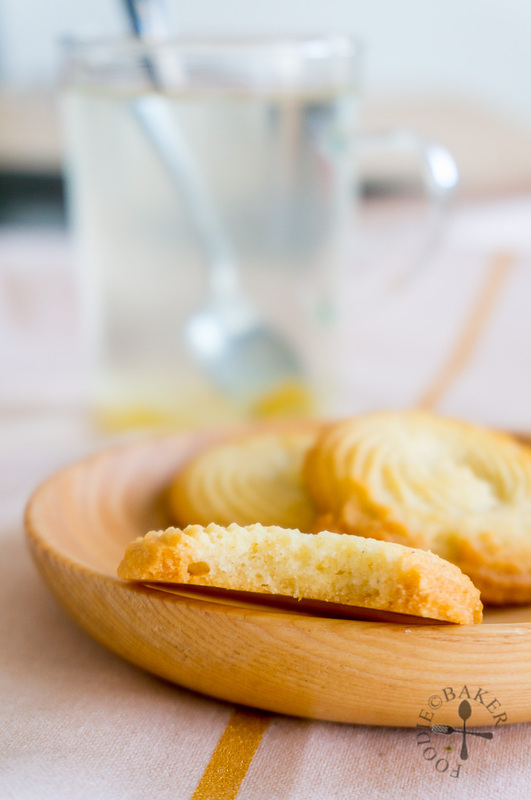 The beauty of making Sablés Viennois is that no mixer is required! All the ingredients are whisked together in a bowl and not much elbow grease is needed because you don’t have to incorporate air into the cookies. The recipe I used is from Pierre Hermé (found the recipe from a French website) and this is one whereby you must splurge on the butter, because it matters. I personally love Elle&Vire butter, but any good-quality butter will work, just don’t get the cheapo ones! 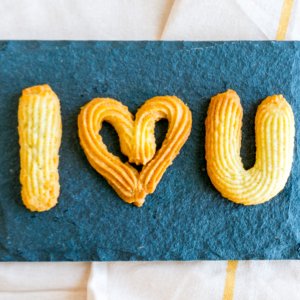 Once you have the cookie dough made, you can pipe anything you like – I went for a tray of simple swirls and another tray of wreaths, hearts and letters. 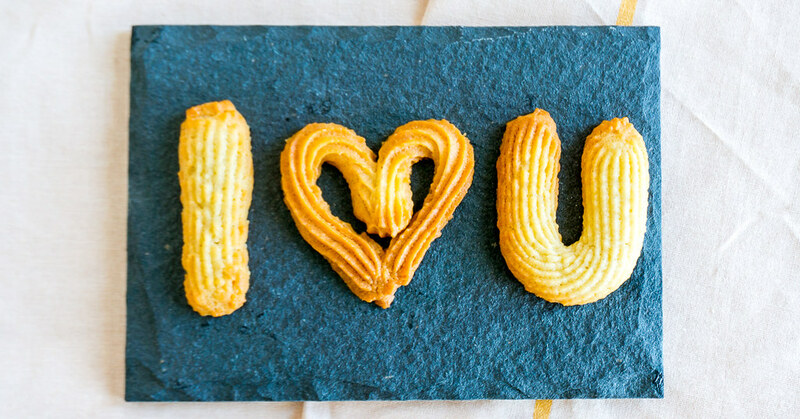 I absolutely adore how the “I ♥ U” turned out – I should have joined them together to make a big statement cookie, they will make perfect gifts! And here are the step-by-step photos – you can also check out the short video of the process on my Instagram. 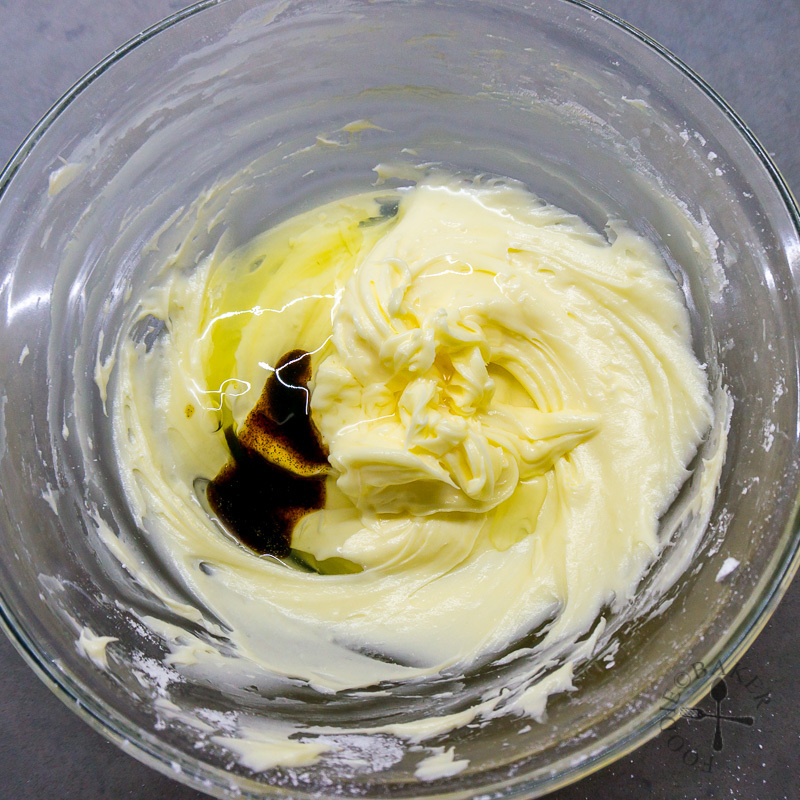 1) Soften the butter until it's like a toothpaste consistency and shiny-looking. 2) Sift in the icing sugar and whisk with a wire whisk gently until incorporated. 3) Whisk in the fleur de sel, followed by vanilla and egg white. 4) Sift in the flour and use a spatula to mix in the flour until incorporated. 5) Stir in the milk/water. 6) Transfer the cookie dough into a piping bag fitted with any tip you like and pipe onto the lined baking sheets. Preheat oven to 175C / 350F. Line two baking sheets with parchment paper or silpat. Set aside. Soften the butter: There are 2 ways you can do this. a) Start with room-temperature butter for best results. Place the butter in a heatproof bowl and set it over a pot of simmering water. 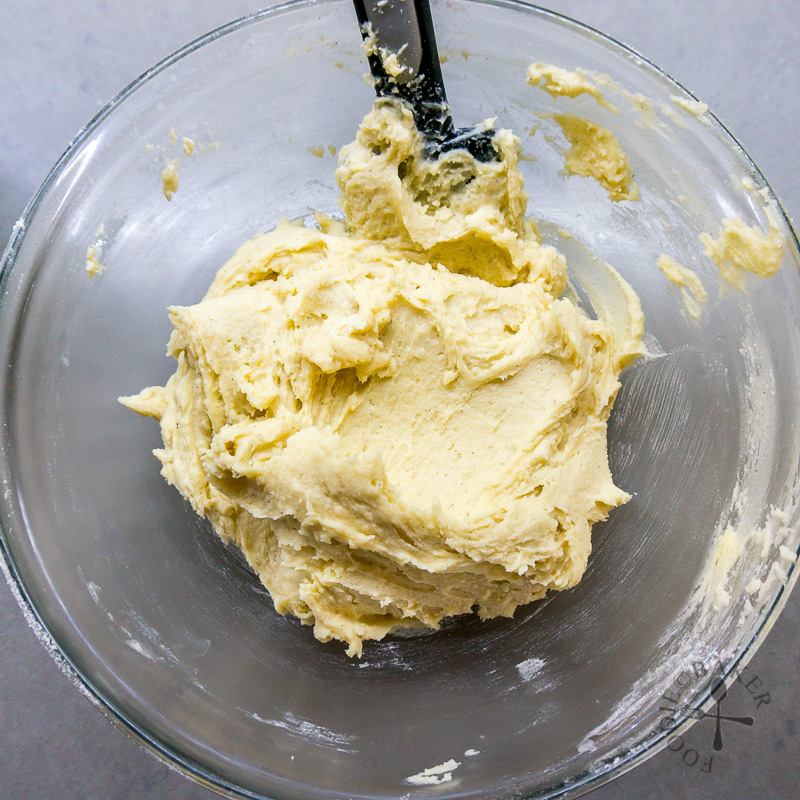 When a little bit of butter has melted, remove the bowl from the pot of water and use a wire whisk to whisk vigorously to mix all the butter together. Repeat until the butter is soft. b) Microwave the butter at 70 to 80% power for 30 seconds, then at 15 seconds interval. You want the butter to be soft like a toothpaste consistency and shiny-looking. If you have softened the butter too much until it liquefies, stick the bowl of butter into the freezer for 3 to 5 minutes and the consistency should be just right. Once you have your soft butter, transfer the butter into a mixing bowl. 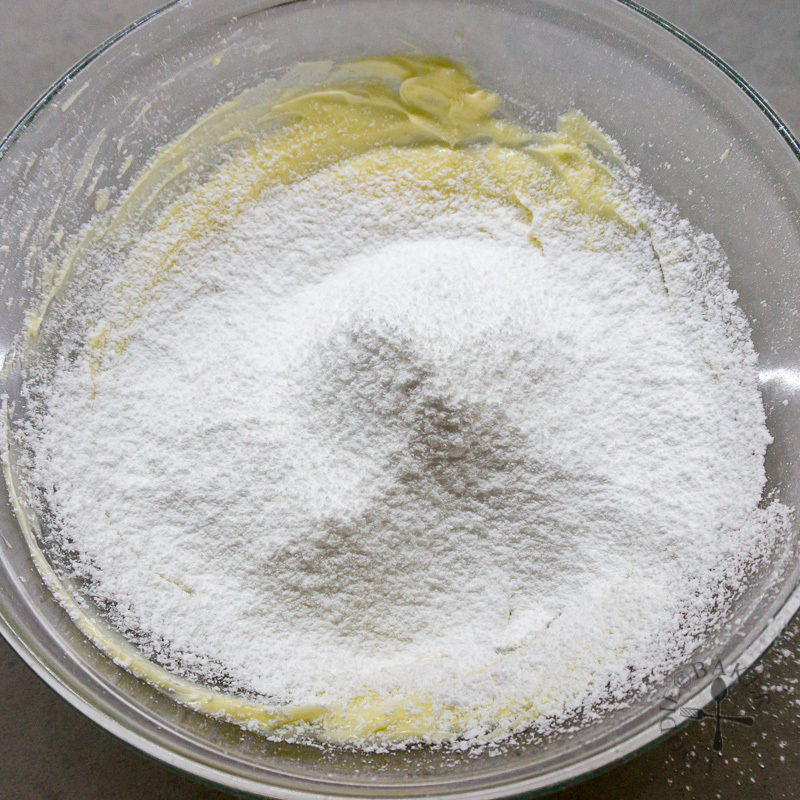 Sift in the icing sugar and whisk with a wire whisk gently until incorporated - do not whisk vigorously as you do not want to incorporate too much air inside. 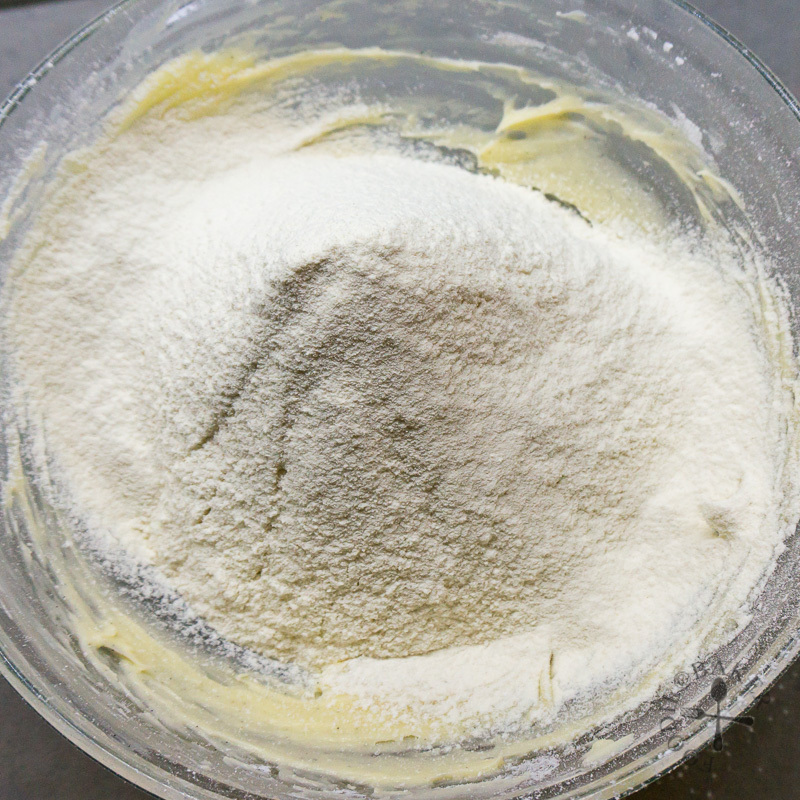 Sift in the flour and use a spatula to mix in the flour until incorporated. Stir in the milk/water. Transfer the cookie dough into a piping bag fitted with a big open/close star piping tip (for the ♥, use a a small open star piping tip) and pipe the dough onto the lined baking sheets. 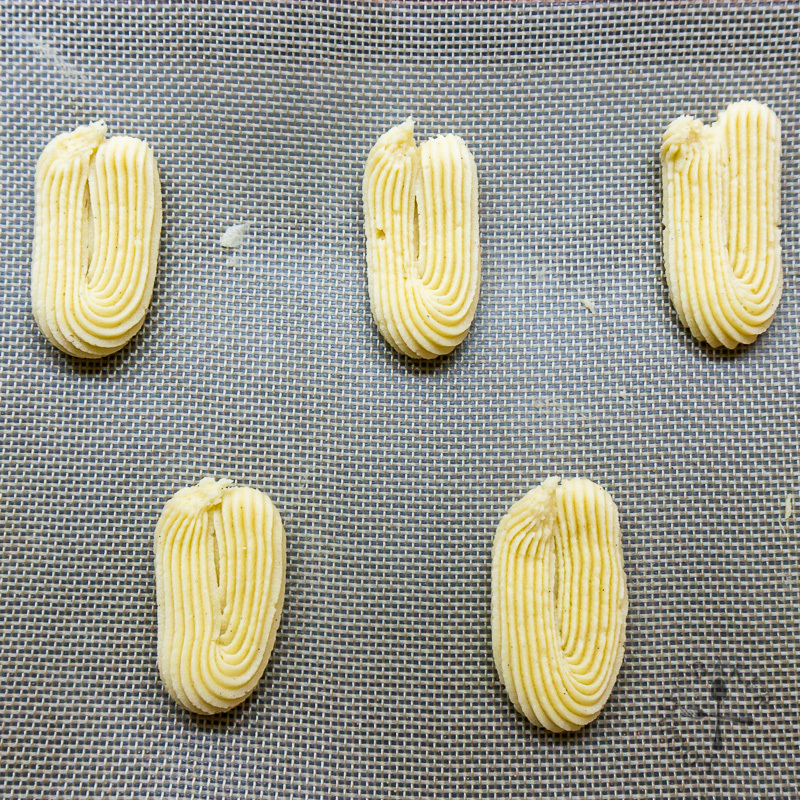 It's best to pipe the same shape on the same baking sheet so the cookies bake evenly. If the shape didn't come out nicely, you can always scrape it up with a spatula and try again. Once the cookies are piped, bake them in the preheat oven for 15 minutes (start checking on them every minute after 10 minutes of baking), until the edges are lightly golden (I personally prefer them to be baked 2 to 3 minutes longer, so total baking time of 18 minutes for me). Let the cookies cool on the baking sheet for 3 minutes, then slide the parchment paper/silpat onto a rack and let the cookies cool to room temperature completely. Store the cookies in an airtight container for up to 2 weeks. - Use only the best butter - I highly recommend Elle&Vire, one of my favourite French butters that can be found in baking shops and major supermarkets. - If you want to make the batter in a stand mixer, combine the softened butter, sifted icing sugar, fleur de sel, vanilla and egg white in the mixing bowl. Use a paddle attachment and mix on medium speed until combined. Sift in the flour and mix on low speed until just combined then mix in the milk/water. Use a spatula to finish mixing by hand. - No fleur de sel? Replace with 1 pinch of fine sea/table salt. These turned out so well! 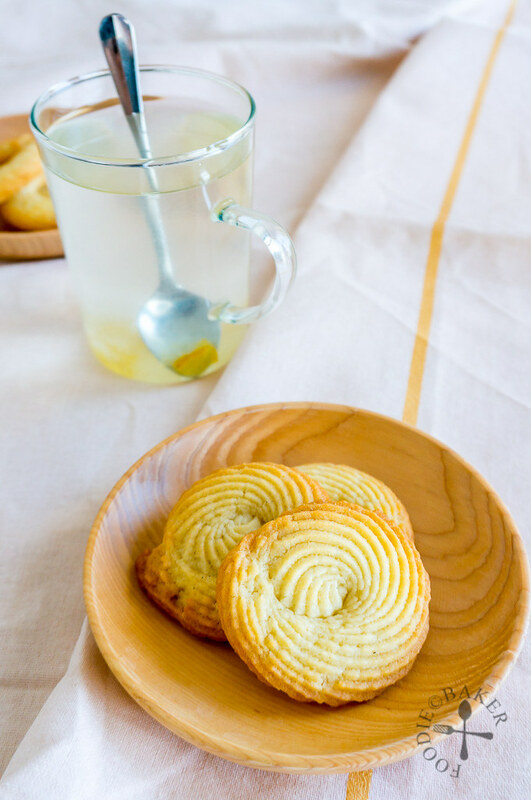 And I adore them…love how the icing sugar makes the cookies have this melt-in-your-mouth kind of texture. It’s nice to be home, cooking in your own cozy kitchen. Enjoy! Welcome home! 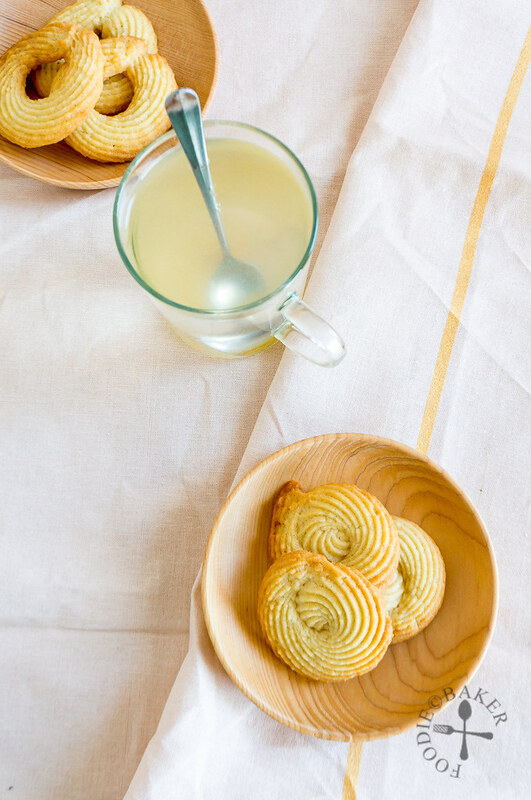 Love how crispy, buttery and perfectly dunk-able these little sables look.